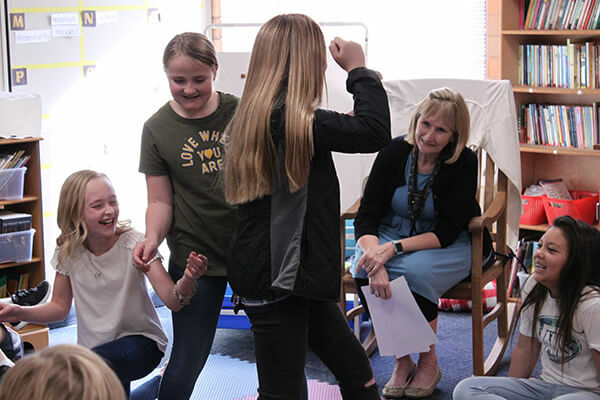 Recently, the 5th graders in Mrs. Torgerson’s class utilized plays to do some advanced reading while learning more about the arts. The day started off with some quick improvisation. Mrs. Torgerson would shout out a nursery rhyme and the three students who were selected to act it out would freeze in various positions. The kids were not allowed to talk as they did this, which led to some funny interpretations of the three little pigs. However, his activity was not just for the laughs, it also fulfilled the common core standard that 5th graders can “Determine a theme of a story, drama, or poem from details in the text, including how characters in a story or drama respond to challenges or how the speaker in a poem reflects upon a topic; summarize the text.” This approach to summarizing a story develops quick thinking, creativity and allows for some variety in teaching, helping all types of learners to better understand. After the acting was finished, students got in a circle to play a word association game. They clapped and snapped as they went around the circle naming an object and stating a word that related to the object. The next person would do the same, only their object became the related word. For example, someone would say “bacon”, the next person would say “bacon” then “dog” (bacon was the name of her dog), then the next person would say “dog, fluffy” and so on. This activity helped with understanding how words fit together and how stories are formed, paring one idea with the next. 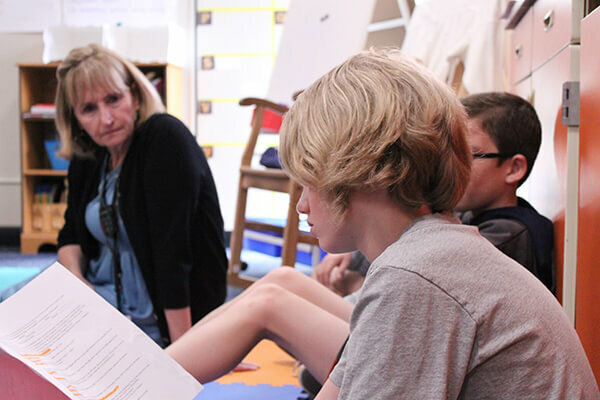 The last activity in this busy day was for the kids to split into groups, pick parts and read from an actual play, developing more of their story structure understanding. This lesson turned out to be both interactive and educational. Mrs. Torgerson hit on a lot of core reading standards in a short few minutes, but it never seemed overwhelming. 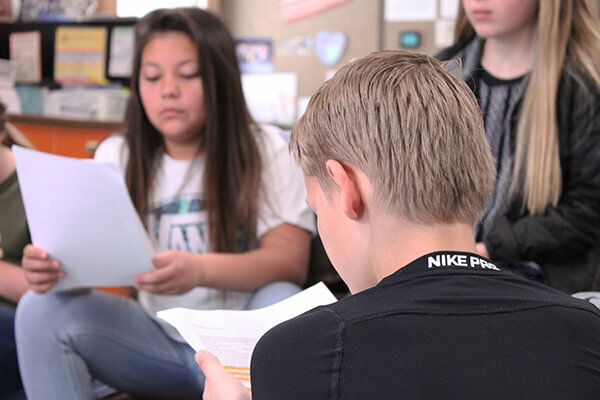 With immersive lessons like this, these 5th graders are sure to have exceptional reading skills develop as they go forward with their education.